Winter is the most magical time of year for dating. Just because the weather has turned cold doesn’t mean you need to stay inside. Instead, use your imagination to make sure you plan the most memorable dates possible. If you do this you’ll find you have much more fun and have a much better chance of getting a second date! 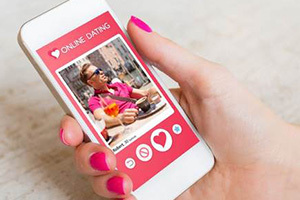 As a British Dating Expert, I’ve put together some fantastic ideas that you could try. More and more town centers are putting up ice rinks over the festive season. They are great whether it’s snowing or not as you get the same cold sensation. It doesn’t matter if you aren’t very good at it as you have the opportunity to hold on to each other for support. Falling over is just part of the fun. With a bit of luck, you’ll soon be holding their hand and skating round together. 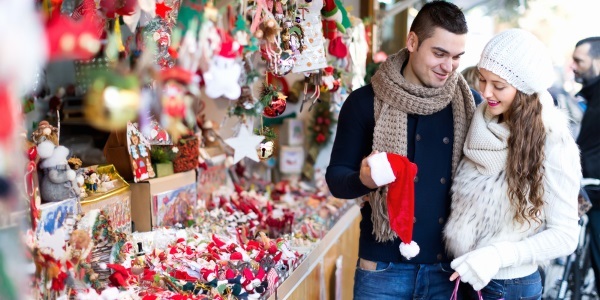 Winter Wonderlands pop up over the Christmas Season and are in several areas such as Edinburgh, Essex and York. 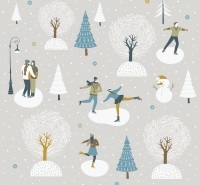 Each one is a celebration of Winter and a great day out to try lots of different things. There’s a huge one in London that gets bigger and better every year. It has a circus, ice kingdom sculpture, big wheels and lots more. If you can make it, you really should check it out. You couldn’t wish for a better place to have a date. Many country pubs have a special fire that they light once winter kicks in. There’s nothing more romantic than sitting together in front of it and sharing a hot chocolate. If you can’t find one, don’t worry as you can have a great experience in a local coffee shop of café. Just make sure it’s one that’s been decorated to get the best atmosphere possible. Again, these appear all over the place during Winter. They are made of a variety of different stalls and stands, each selling gifts from around the world. You could have a look at presents for family or just browse while you chat. You’ll also find plenty of food and drink to try together, such as mulled wine, hot cider, German hot dogs and mince pies. Each is a good talking point and a perfect icebreaker for when you want to get to know someone. If you want them to have a good time, they need to have as much fun as possible. Luckily, us Brits have a unique tradition of Pantomimes. They aren’t just for kids and most have recent pop songs and celebrity guest stars appearing. It’s a different option to the usual idea of going to the cinema and it will bring back happy childhood memories. Winter is a great time for local communities to get together. So this means there will be lots of concerts or carol singing parties in your area. Some are religious but many are just an excuse to get lots of people together to celebrate the season. It’s an interesting activity that you can do together, especially if it is in a venue lit with candles. Hopefully you’ll now have a good idea of the sort of things you can be doing. Remember, it doesn’t matter exactly what you do – just do something a little different to show them you care and have a good imagination. If you’d like some tips about what you need to do and say on the date then please check out our other dating advice blogs HERE.